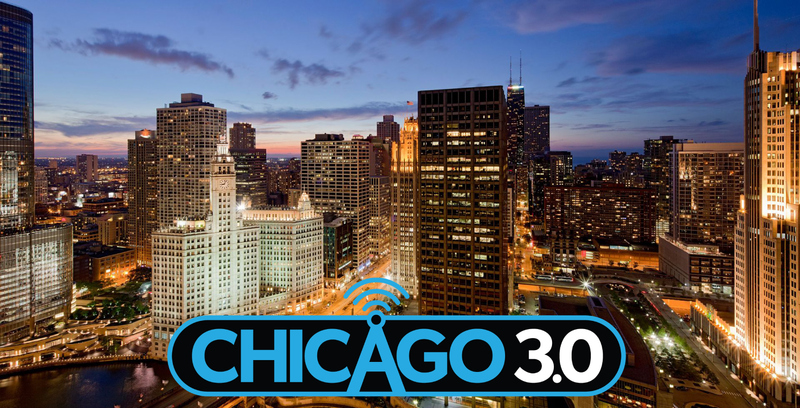 September 5, 2018 – Chicago – Weigel Broadcasting Co. has launched “Chicago 3.0”, an experimental next generation full power broadcast television station in a large market environment. The company has teamed up with fellow industry leaders to create the station that broadcasts from the Willis Tower in downtown Chicago. Weigel has a history of further serving viewers with pioneering and implementing innovative broadcast technology, and will use this station to test, experiment and explore the capabilities of ATSC 3.0. “The Chicago 3.0 consortium led by Weigel is one of only a few initiatives nationwide to launch an ATSC 3.0 operation. We are excited to collaborate with our vendor partners as we explore the viability and the potential opportunities of what the future broadcast standard has to offer for viewers, our affiliate partners and the industry. We look forward to sharing various aspects of our findings with the broadcast community,” said Evan Fieldman of Weigel Broadcasting Co.
Weigel has joined forces with top-tier companies to build out the station, including: Rohde Schwarz, Harmonic, Triveni Digital, ENENSYS, Alive Telecommunications, and Sony. Each partner has contributed essential equipment and resources for the sign-on of Chicago 3.0. Weigel Broadcasting Co. is pleased to join the ranks of the small group of ATSC 3.0 pioneers who are helping evaluate and evolve the future of broadcast television.